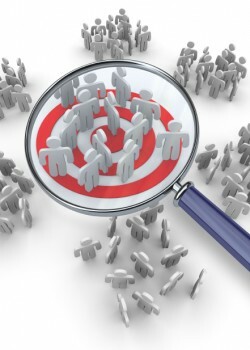 Armed with improved targeting technology, firms are increasingly interested in optimizing their advertising dollars through consumer segment-specific targeting, particularly while introducing new products. That task becomes especially important in markets with distinct consumer segments—the early market and the main market—that affect each other’s adoption behavior. In this study, in contrast to prior normative studies that assume a single-segment market structure, we derive dynamic optimal advertising and segment-specific targeting strategies for firms facing a two-segment market structure. We allow for mutual demand interactions between the two segments, and for the diffusion parameters, advertising sensitivity, and cost of targeting to differ across the segments. We model the effect of advertising as a logarithmic function that accounts for diminishing marginal returns. Among our key findings: From profit optimization perspective, our two-segment model outperforms the single-segment model under multiple diffusion dynamics contexts—especially for the ‘bimodal chasm’ and the ‘early dip followed by bell-shaped’ type diffusion patterns—even when the cost of targeting the early market is relatively high. Our numerical analyses indicate that the optimal share of advertisement targeted to the early market segment at launch needs to be much higher than the share of the early market segment in the population. Advertising sensitivity, relative cost of targeting the early market, and the proportion of early market consumers in the population have the greatest effects on the optimal time to transition the targeted advertising spending from the early to the main market segment.